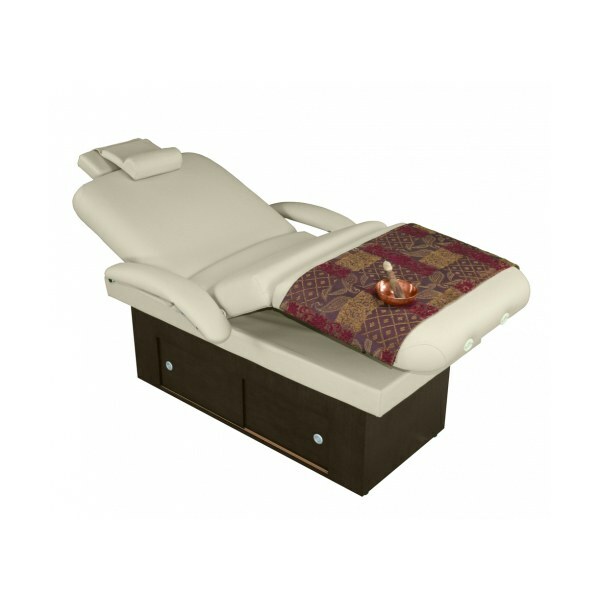 You asked for a comfortable, fully-motorized spa treatment table at an economical price. 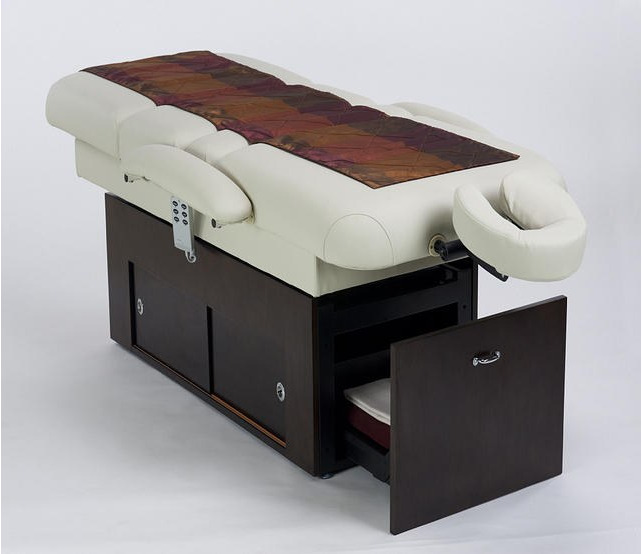 We created an innovative lift system and included it in an attractive wood base with convenient storage space. 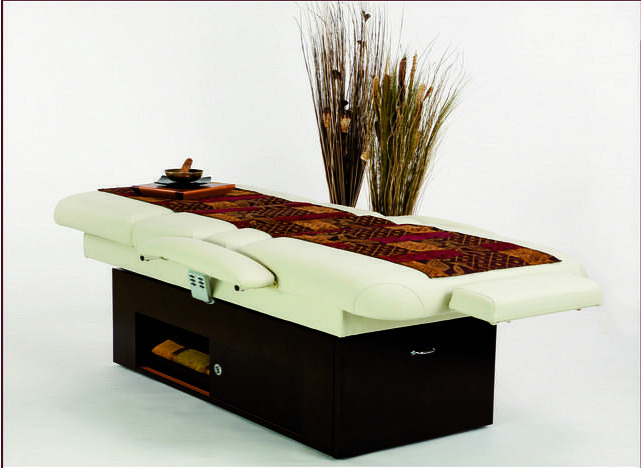 Add optional end drawer, glass doors or accessories. 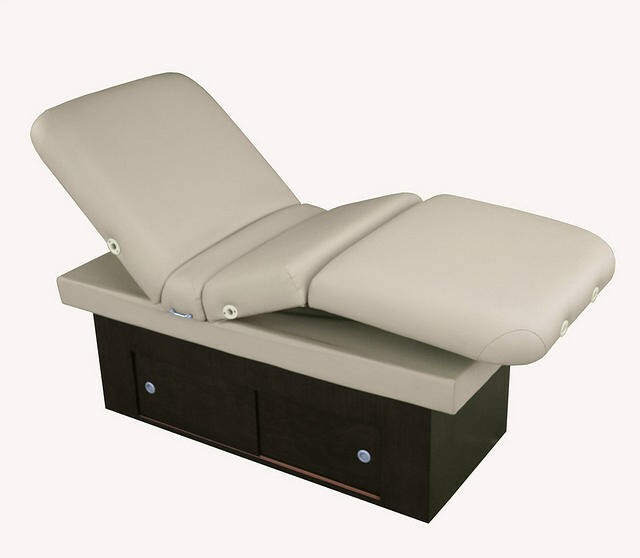 The same easy, push-button top and base adjustments you're used to on more expensive massage tables, makes the Sanya the spa treatment table you've been waiting for. 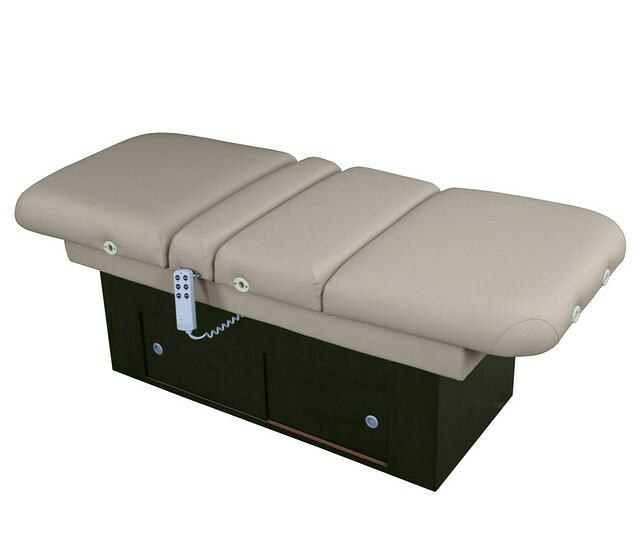 • Height range 24.5” - 34.5” •Top size 30” x 73” •Optional end drawer or glass doors •Wenge' veneer w/ clear finish •All-electric w/ hand control •Back raises to 60° •Lift capacity 375 lbs. •Table weight 270 lbs.